Getting from A to B means a lot of different things for city dwellers. They may take the bus to work. Bike to the gym. Uber to the grocery store. And much more. For every trip, you need the right option available at your fingertips – no matter if you’re going a few blocks, a few miles, or even further. We have JUMP bikes available in 10 cities, a pilot with Getaround in SF, and a partnership with Masabi to integrate transit ticketing in our app. But for those short trips, we want to make it easier and more fun to get there. That’s why we’re launching our first scooter option in the Uber app. JUMP scooters are now available in Santa Monica. 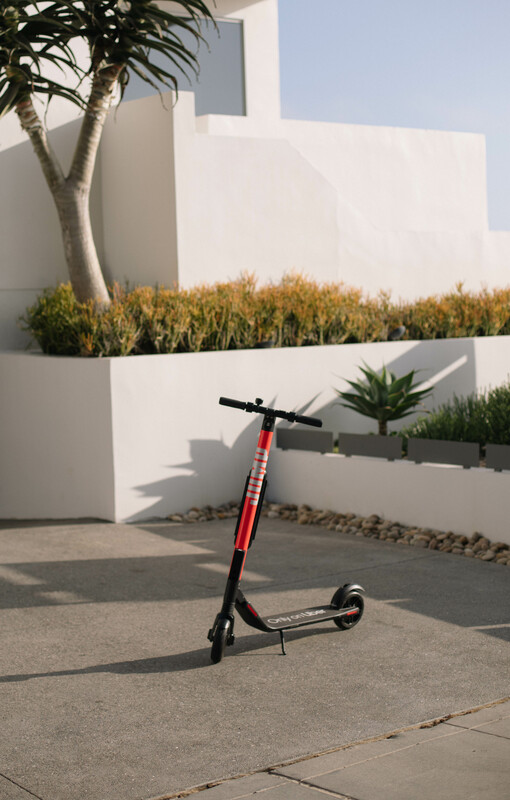 To use a JUMP scooter, you can reserve via the Uber app or by walking up to an available scooter. When using the app, tap the mode switch at the top of your home screen, and select Bike & Scooter. From there, you’ll be able to see available JUMP scooters near you, and reserve one. Once you’re at your scooter, scan the QR code on the handlebar using the Uber app to unlock it. Then, snap on your helmet and you’re ready to go! To ride, push off with one foot to get a little momentum, and then press the green tab next to your right hand to get moving. Press the red brake on the left handlebar to slow down or step on the rear brake to come to a more immediate stop. Once you’re finished riding, park your scooter in the parking zone shown in the Uber app and end your trip. As we work towards having your phone replace your car, we’re thinking about all the possible times you’d hop in the car and go, and what smart, equally as convenient option we could offer to get you there instead. Whether going that last mile home from the train, to your favorite nearby restaurant, or between offices, scooters are an affordable, environmentally friendly way to get there. We can’t wait to bring scooters to more cities and help people conquer those short trips.